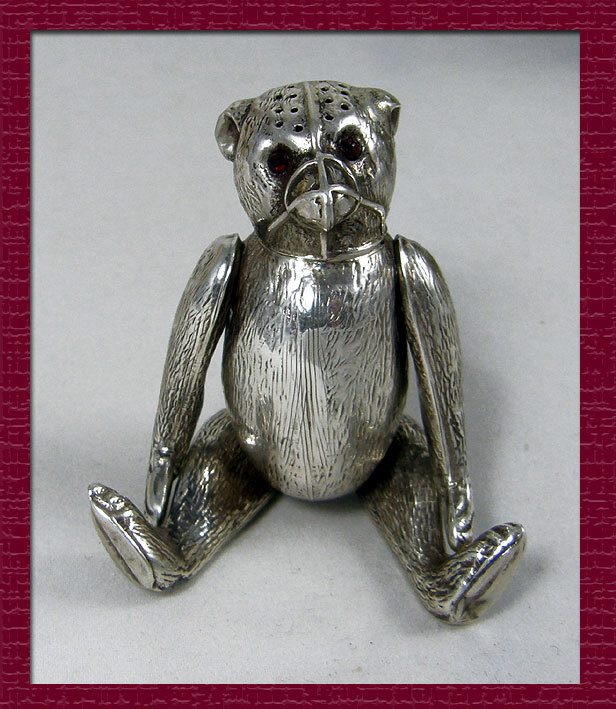 This fabulous, extremely rare antique silver teddy bear pepperette is fully hallmarked Birmingham 1909 with maker's mark H V Pithey & Co. 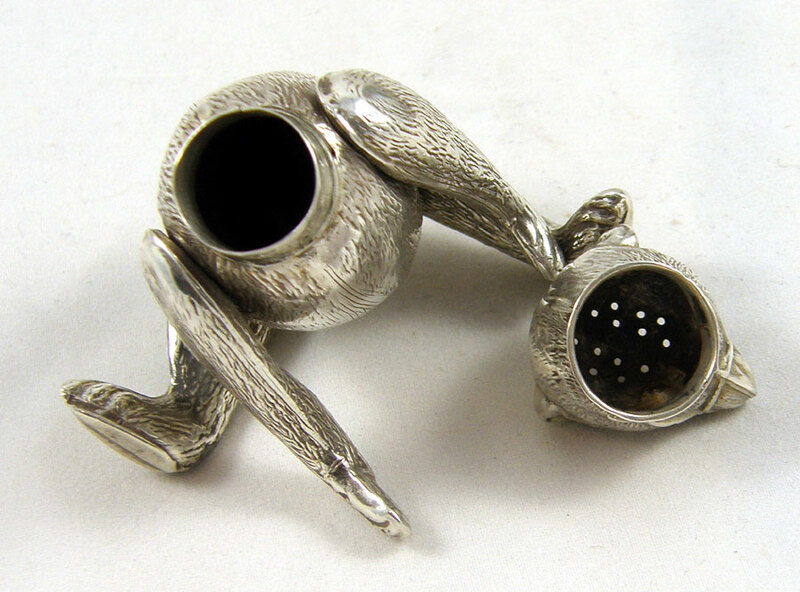 Although pin cushions were made in a similar "muzzle bear" design, this is the only pepperette we have ever seen. 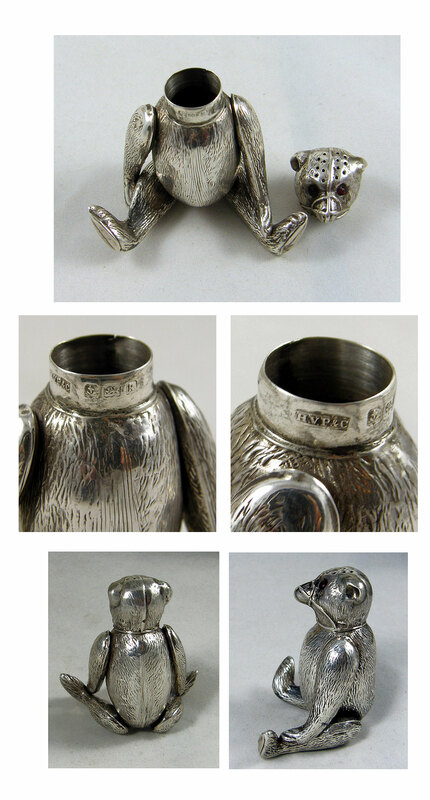 In good condition with just a small ding to one foot and behind one ear, the bear is fully articulated and totally exquisite. 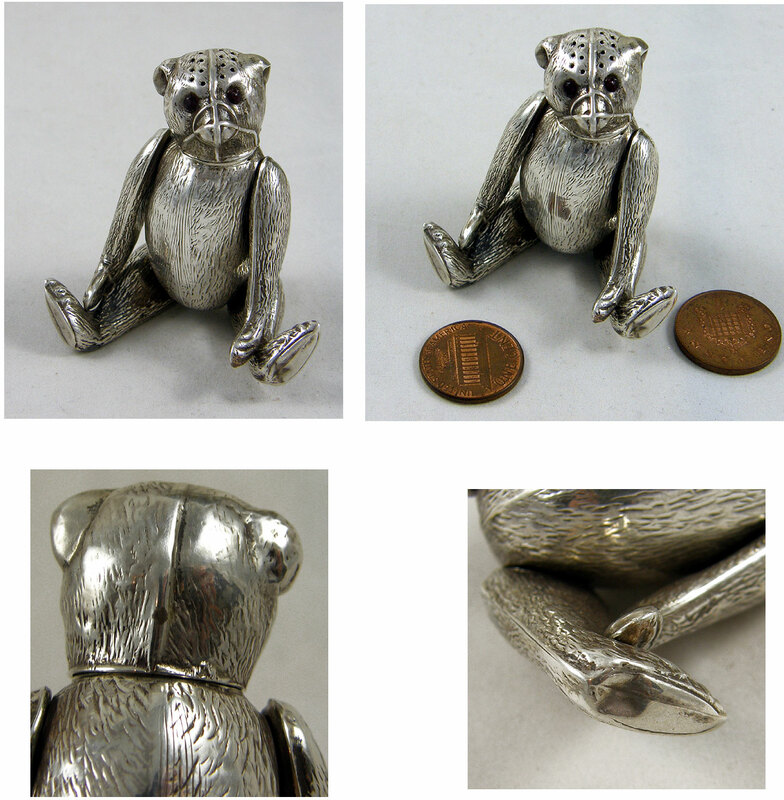 Please enquire for more details on this wonderful silver teddy who is shown with pennies for sizing and measures just under 3" tall.